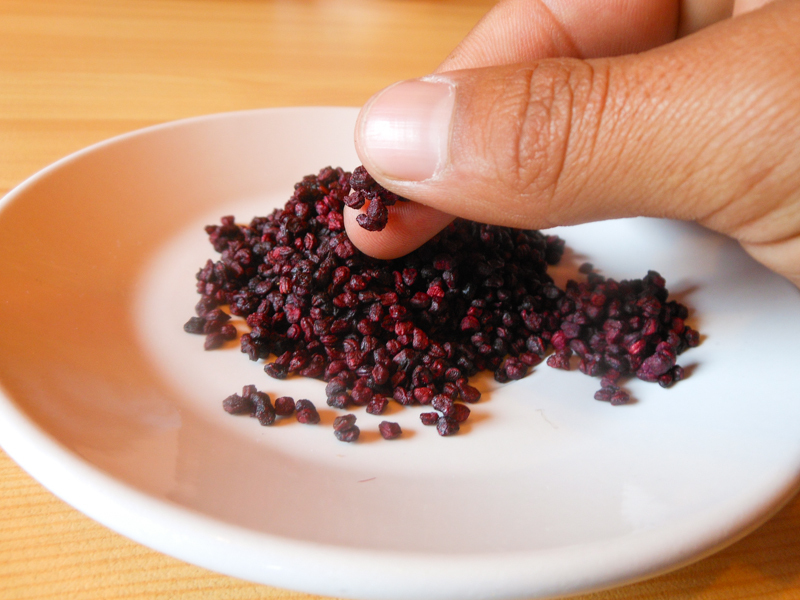 Beautiful for its sound alone, the airampu is a cactus seed that also gives an intense red color to food and which is argued to have medicinal value. In Cuzco and elsewhere it has much demand. The name airampu is from Quechua and in Spanish they change the vowels a bit to call it airampo. 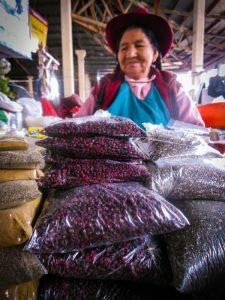 It is the seed of an intensely colored fruit called tunilla that is similar, though smaller, than the tunas, cactus fruit, sold in their season in Cuzco’s markets. The cactus is native to this part of the Andes and is found in Bolivia and Peru. It grows in the highlands where there is a lot of cold and in places where soil is scant. Besides being an ingredient of various beverages to which the ayrampu impart a delicious flavor and color to soothe thirst, it is also used as medicine. As a traditional remedy, it is used to cure mouth sores in children. 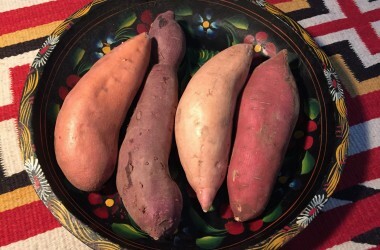 In Quechua these are called pashku or ph’asku. 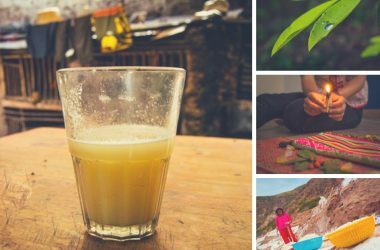 Airampu is considered a cold ingredient and since the sores stem from internal heat a drink with ayrampu can cool them down and there by help cure them according to our traditions. It is also used a lot to calm and alleviate fevers. It can also help calm stomachaches. Importantly, when people celebrate fiestas, sine they dace and participate until very late at night, they are served a hot ponche to calm the effects of the nocturnal cold on their bodies. 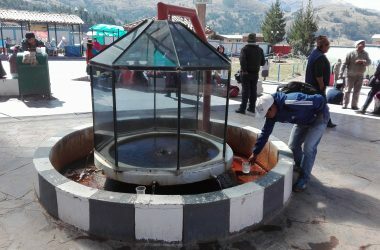 In this punch is placed a little bit of liquor, such as a cañazo (distilled cane alcohol) that is combined with ayrampu. This is considered good to stop the cold from impacting them. I have known ayrampu since I was a little boy. My mother would make me teas with ayrampu for infections in my mouth in order to calm them or when I would have a fever or an internal heat. It would always calm the fever and lower it. I was also given ayrampu as a soft drink, a refreshment (refresco) as we call them here. 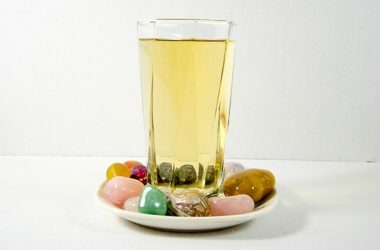 These are drinks of fruit or tea mixed with water and sugar, served at room temperature. My mother tells me that I would have eaten the ayrampu seeds, an ayrampu tree would have been growing in my stomach by now. There are people who put together small bags of ayrampu seeds that they sell from 2.oo S/. 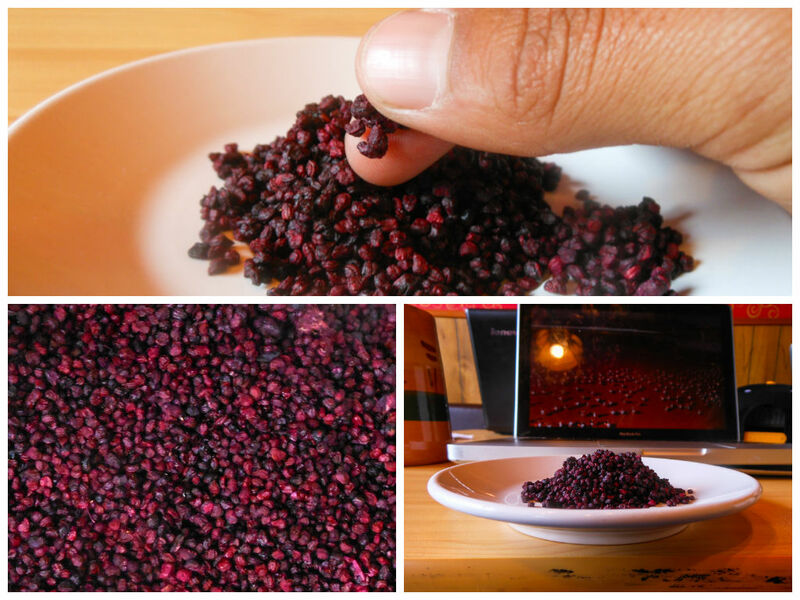 This is the quantity you need to make a cup of ayrampu tea. 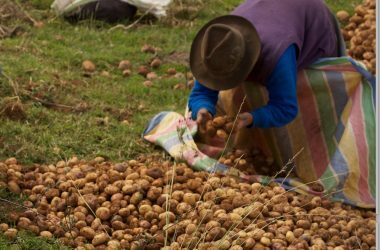 The seeds are also served in larger quantities from 5.00 to 1 S/. Many people ask “where can I find ayrampu?” The truth is that these seeds should never be missing from neighborhood stores, just like cloves and cinnamon. You can also find it in the city’s markets and supermarkets.